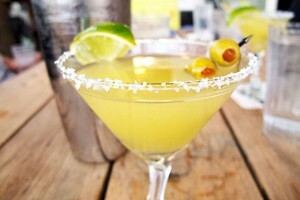 3 Signature Austin Drinks: Don’t Forget a Designated Driver! Right about now, Austin natives should be nodding their heads in agreement. Although Trudy’s isn’t the original creator of the Mexican Martini, it has become famous for serving this signature tequila cocktail as one of its top-selling drinks. As a warning, the drink is so strong and enticing that the bartender will cut you off after two! If you’re drinking on a budget, you may want to check out Trudy’s happy hour with $6 Mexican Martinis on Mondays, as well as $2 bottle beers, $3 draft beers, and $3 house margaritas any day of the week. If you love booze and movies, it’s time to head to the Alamo Drafthouse posthaste. Since Austin is a city of movie buffs, it’s no wonder that the recently launched signature wine from the Alamo Drafthouse, the Princess Bride Wine, is highly in demand in the area. You can sip on this wine while enjoying a movie, and you can also buy it online as the perfect gift for the Princess Bride fan in your life. The complete wine line includes Inconceivable Cab and As You Wish White. Located deep in the heart of Texas, Austin is well-known for its top-of-the-line margaritas, starting with a brunch margarita at none other than La Condesa. If you need to get your drink on well before noon, try this breakfast margarita made with flavorful orange marmalade. The stiff drink can be enjoyed with a long list of Mexican brunch favorites, like huevos rancheros, chilangos, a cubanita, and much more. Before you embark on your quest to sample the best signature cocktails that the city has to offer, make sure that you have a designated driver set up in advance. As a fun way to spend a weekend afternoon, you can visit all of the restaurants listed above on your own mini cocktail tour in a limo or luxury town car rental with a group of friends. When you split the cost of the Austin limousine rental, it makes it more than affordable to kick back and enjoy a handful of drinks without having to worry about driving home!